This product is so attractive and useful. It's made of durable transparent PVC and PVC tarpaulin. 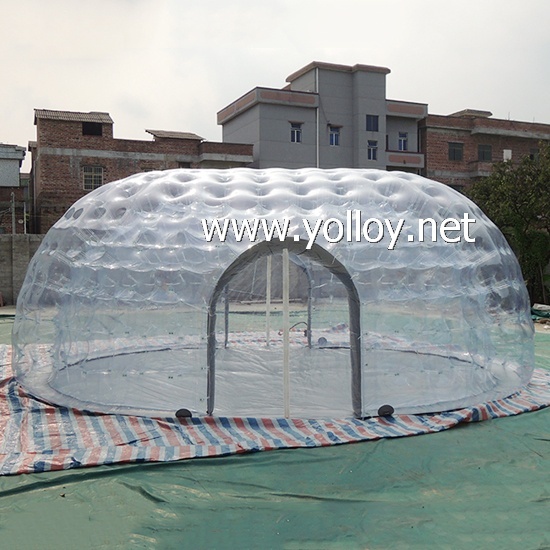 This dome tent is with 2 doors and ground sheet. It's wildly usage, such as promotion activity, exhibition room, sports arenas, store, greenhouse ect. As it is transparent PVC, people in the dome can have a clear vision for outside scenery. Good quality and good service with also good price. There are some D rings on the bottom of the tent, and you can anchor the tent to the ground with some nails.